The Delhi BJP on Saturday said it has lodged a complaint with police against Delhi Chief Minister Arvind Kejriwal for dubbing the Election Commission as 'Dhritrashtra' and ''misleading'' hoardings put up by the AAP. The complaint has been filed by the BJP’s Legal Committee at the Parliament Street police station. A separate complaint has also been filed with the State Election Commission in this regard, Delhi BJP chief Manoj Tiwari said. 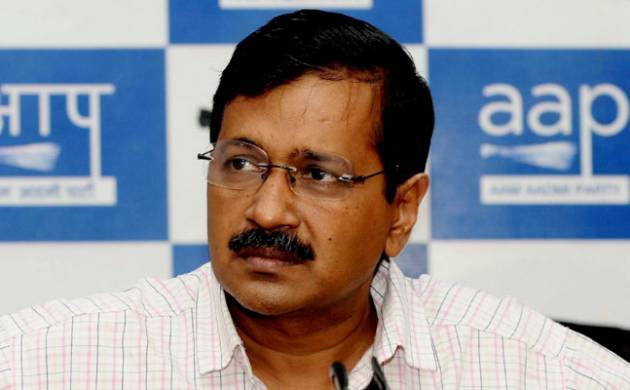 Earlier this week, Kejriwal had attacked the Election Commission over alleged tampering with the electronic voting machines (EVMs), accusing the poll body of acting like ‘Dhritrashtra’ to help son ‘Duryodhana’ (BJP) win the recent state assembly elections. He alleged that the Commission’s only intention was to bring the BJP to power in the poll-bound states and that is why it was not paying heed to his request to investigate the defective EVMs. “In the complaint, objection has been raised to Kejriwal’s statement in which he had called the Election Commission as ‘Dhritrashtra’ and the BJP as ‘Duryodhan’,” Tiwari told reporters in a press conference. He said in the complaints with police and State Election Commission, the party has also objected to the “misleading charge” against the BJP regarding hike in power and water tariffs by the Chief Minister and his deputy Manish Sisodia through the hoardings.